Today I want to showcase London with Farfetch. London is one of my favourite cities to visit. London is always full of life, there is always something new and worthwhile happening. From the pubs to the musicians busing on the left bank, from street food vendors to historical sights, there is always something to do. If you want to know what is the next trend coming up, you go to London and check out the hot names in fashion scene in London. There are several British Designers that are on my list of “want to have”, and Alexander McQueen is one of them. I LOVE this brands looks and collections, the denim, the quirky bags, the attitude, the Ecological thinking. Again, I made my pick of the favourite items below the graph provided by Farfetch. Which brands are your favourites? What would you get for this fall? The skull motif is everywhere in Alexander McQueens collections, and I love it. It’s all about attitude, edgy and beautiful materials. 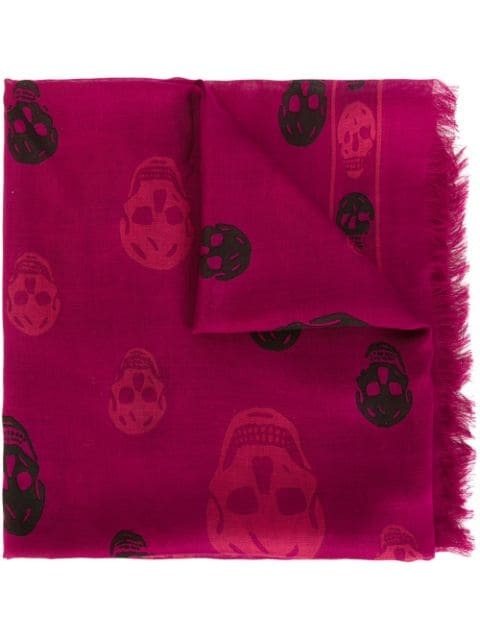 I don’t think I can really choose which skull scarf is the favourite, but if I had to choose, I would choose this one. I’m always on the lookout for something unusual and beautiful. Mary Kantrantzou’s bags are exactly that. 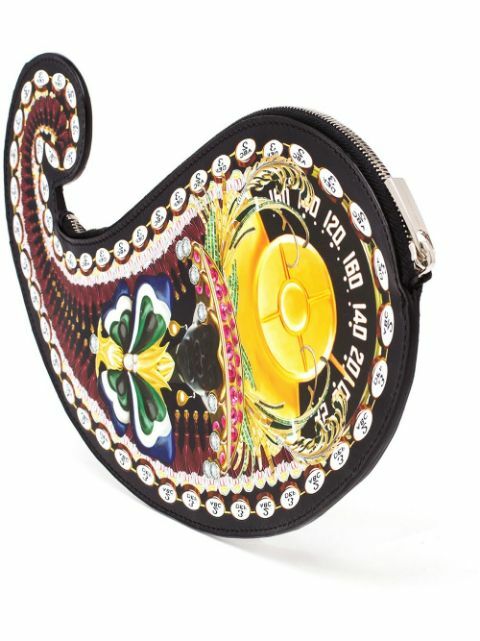 This Paisley clutch has what it takes for me. I would combine this with the Ashis slip dress that I picked just below. They are a perfect London match. 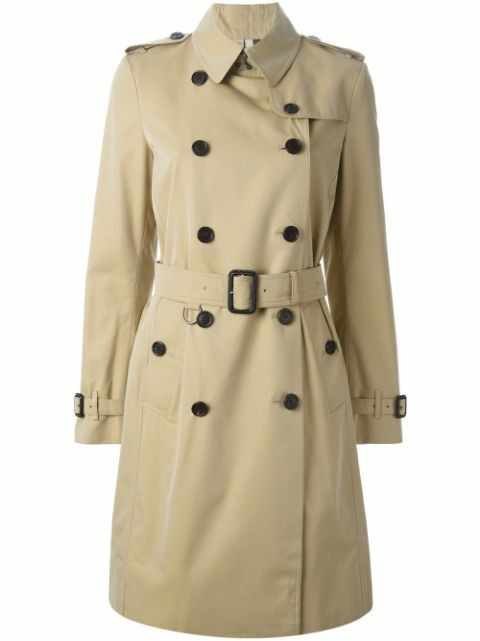 Recently we featured the Iconic Trench Coat on our blog, and nothing is more iconic than the Burberry Trench. They invented it. I love the belted midi trench because its just “British” enough. Casual, but very smart…and totally THE coat when it comes to combining style and practicality. One of the new and upcoming designers from London is Ashish and his collection has that London-edgy and punk vibe to it. 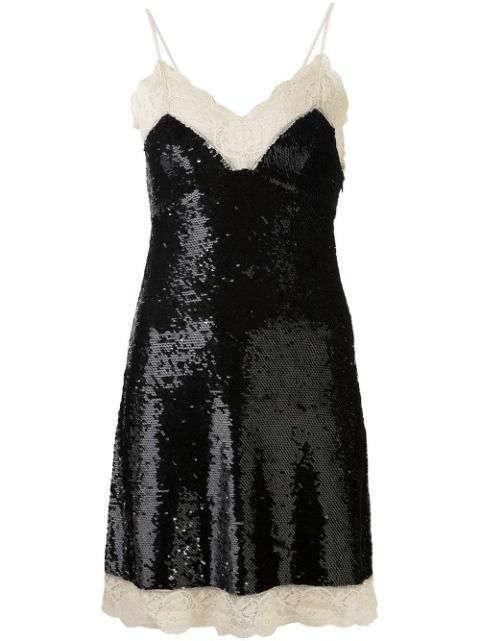 I fell in love with his slip sequinned dresses, these are the dresses that you wear for a night out, and you will make the dance floor sparkle something magical. Thanks Michelle! 🙂 Glad you liked it!